Our children are pretty tech-savvy. Both have tablets and both use them, especially on long car journeys. We're careful about what they do, and which games they play. But with a little light parental monitoring the hours they spend can be both fun AND educational. Well, the noise for a start. Especially the cacophony that ensues if one is playing one game and the other one, another. Headphones, of course, are the answer. And Charlie happily wears his whenever we ask. Getting Eloise to do the same has been something of a problem, which is where these wonderful CozyPhones come in. 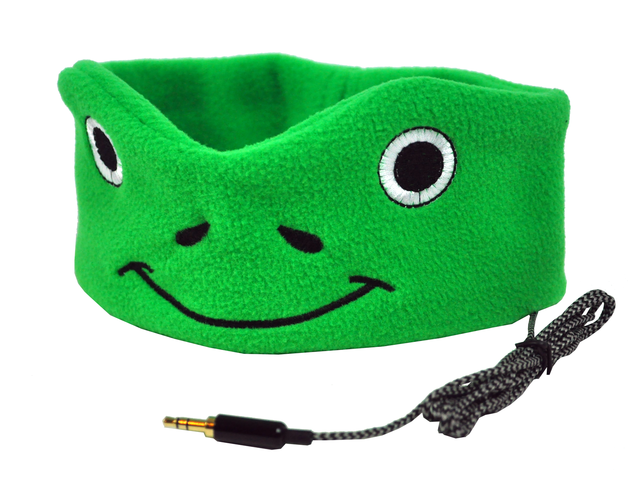 Cozyphones are soft, fleece headband headphones for kids made in fun animal a character designs. They're worn like soft headbands. They're comfortable, convenient... and quiet! And the back-story is an interesting one as well. Take a look at this!